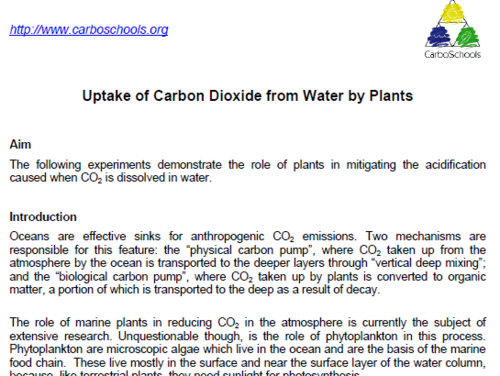 Two simple experiments/demonstrations show the role of plants in mitigating the acidification caused when CO2 is dissolved in water. 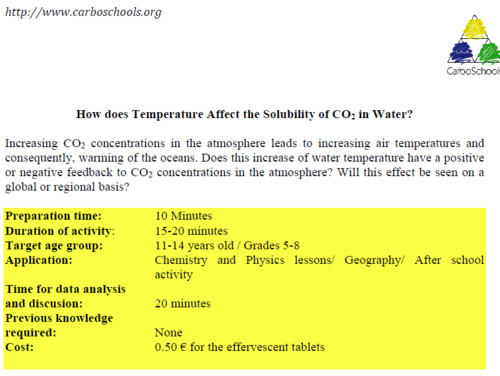 How does Temperature Affect the Solubility of CO2 in Water? This short investigation from Carbo Europe explores how temperature affects the solubility of carbon dioxide in water. This well-designed experiment compares CO2 impacts on salt water and fresh water. 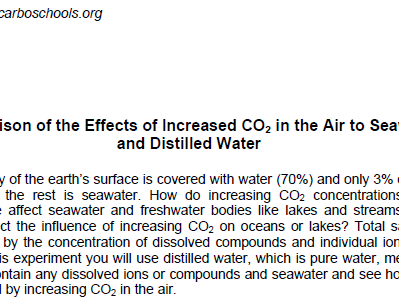 In a short demonstration, students examine how distilled water (i.e., pure water without any dissolved ions or compounds) and seawater are affected differently by increasing carbon dioxide in the air.